shop: a market boat visits Kravljacica three times per week. 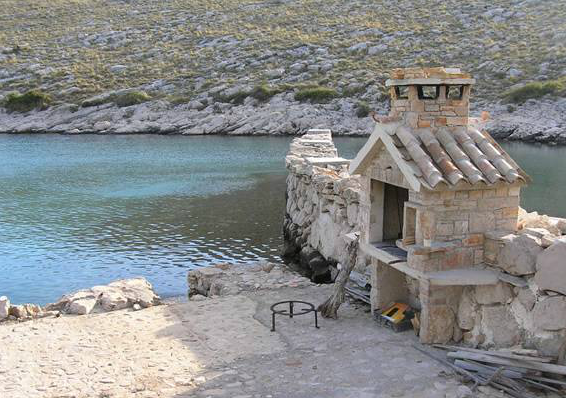 House Antonia is on the beautiful National Park island of Kornati. It is a stunning boat ride away from the mainland. A place where you can unwind without the hustle and bustle of everyday life. Completely relax by the crystal clear sea and enjoy the warmth of the sun upon your face. Wake up to the relaxing sound of the waves and the fresh sea air. Heal your mind and soul. 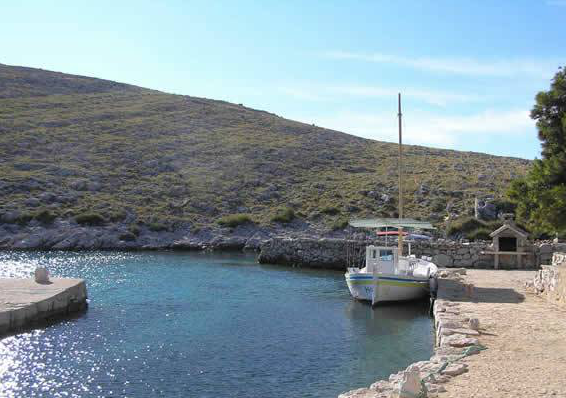 Kravljacica bay is one of the most special in the archipelago, located in the most attractive part of Kornati. 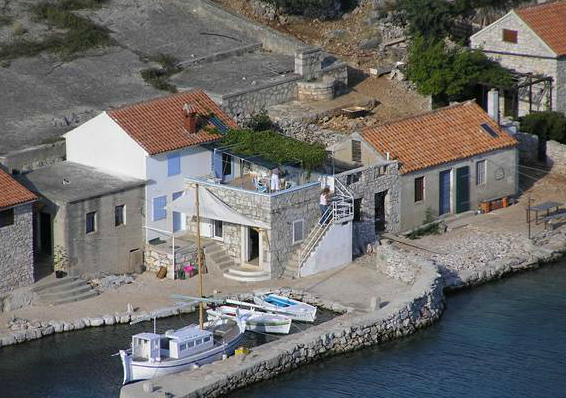 House Antonia is situated in the perfect spot, in the central part of the bay. 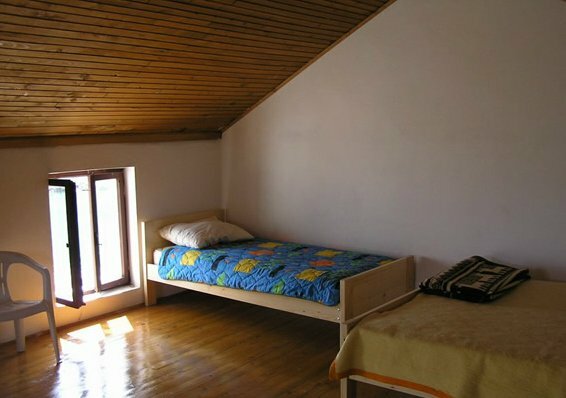 It is big enough to comfortably accomodate 6-8 persons. 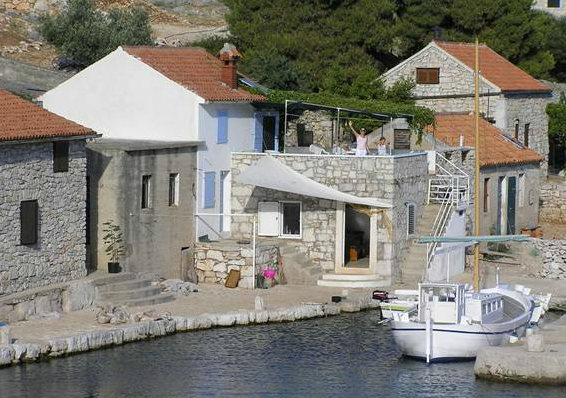 Holiday house Antonia is placed in on the island Kornati , in the Kravljacica bay, The island of Kornati is the bigest island of the National park Kornati and it has no regular connection with the mainland -the owner of the house gives you a ride with his boat every Saturday morning to the house and back to mainland on the end of your holiday. The trip is approximately 2.5 hours. 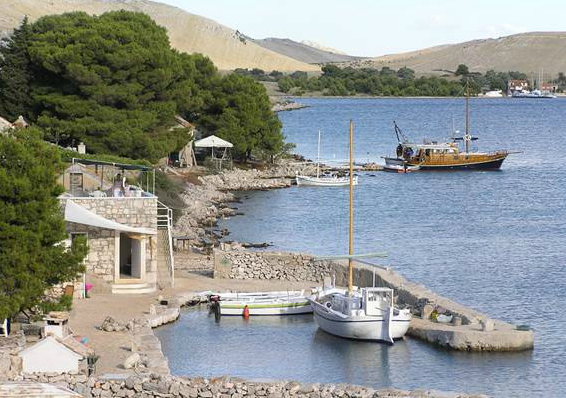 Parking place for your car is free and secure, it will be in the jard of the owner on the mainland in Bibinje. This holiday house is perfect for up to 8 persons seeking ultimate relaxation through enjoying the nature and simple way of life. 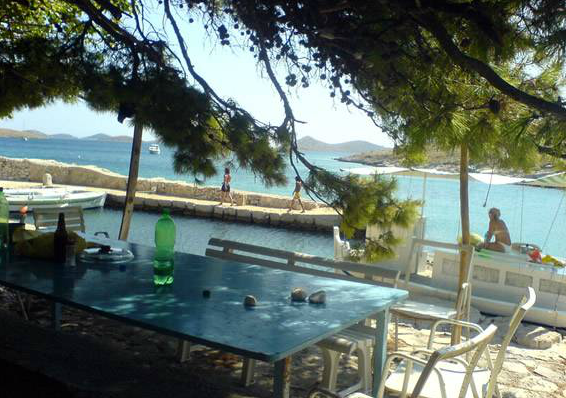 The price for the transfer to the island Kornat and back is not inculuded in the price and it coast 200 Euro for to go and come back. The house has a kitchen with a living room downstairs all together 20m. 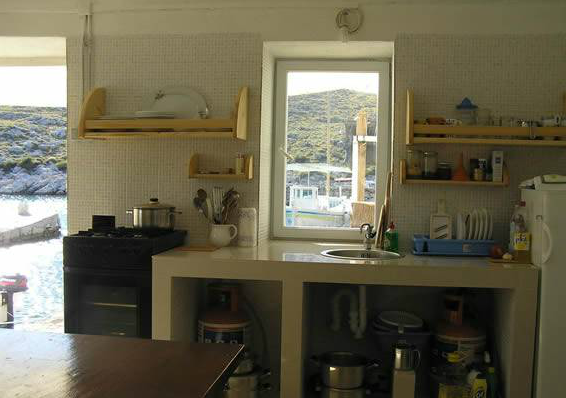 The kitchen contains fridge and gas cooker with oven. Just a step from the see there is a handmade outdoor stone fireplace , good combination with the extra large terrase under the pine tree with table for 8 persones. 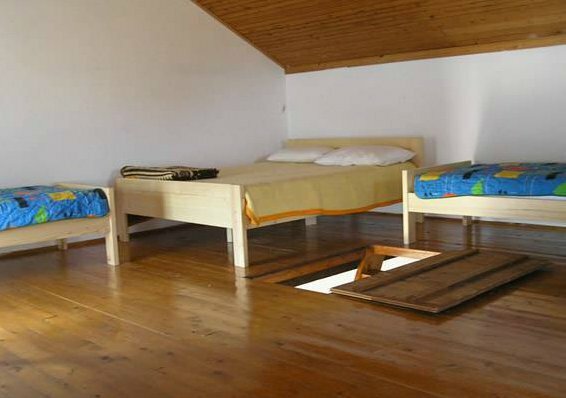 Tree bedrooms: 2 rooms 15m2 and one 30m2. Bed linen are prepared for you. Bathroom towels and beach towels are not available, please bring your own. Since there is no electricity or running water on the island the house has a solar lighting 24 volt and drinking water filtered from the rain water tanks direct to the house. Usually people take bottled water for drinking with them because thay are not used to the rain water . You may recharge your mobile phone in the house, with your regular household recharger. 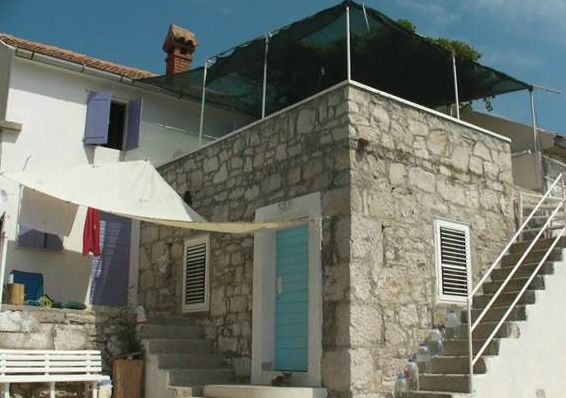 A roof terras with the moust beautiful open sea view or in the night star view is alsou a part of Antonia house. Minimum stay is 7 days, from Saturday to Saturday only. 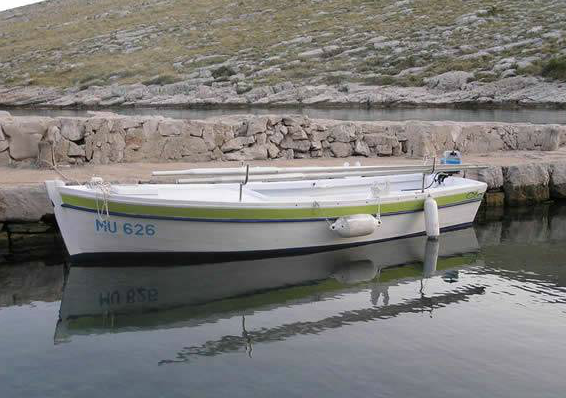 It is possible to rent a small boat " Antonia " 4.6m with Yamaha engine 5HP for visiting neighbouring ports and many islands in the National park . The price of the small boat is 30 Euro per day. There is a possibility to rent other motorboat (on request, and provided that the client owns an acknowledged boat driver´s license). 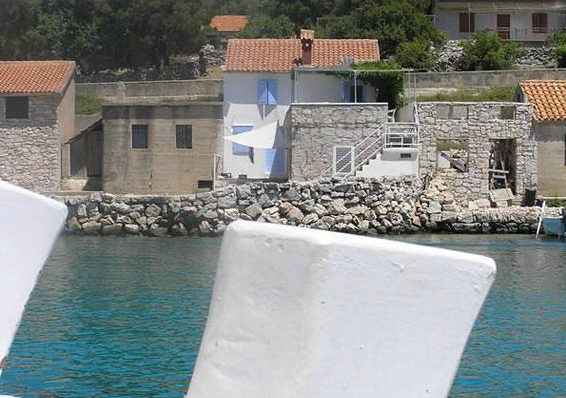 A market boat visits Kravljacica three times per week. 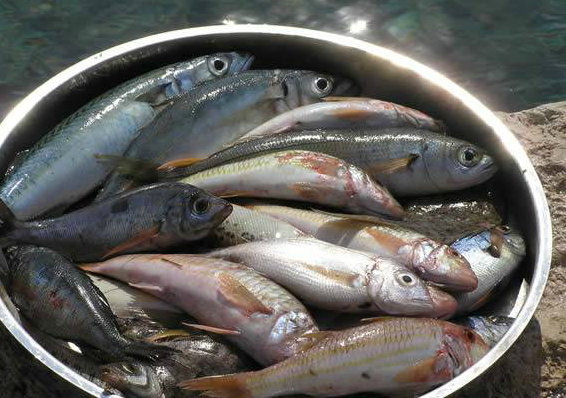 There is a restaurant in the bay which serves up daily caught fresh fish. This is 100m from the house. 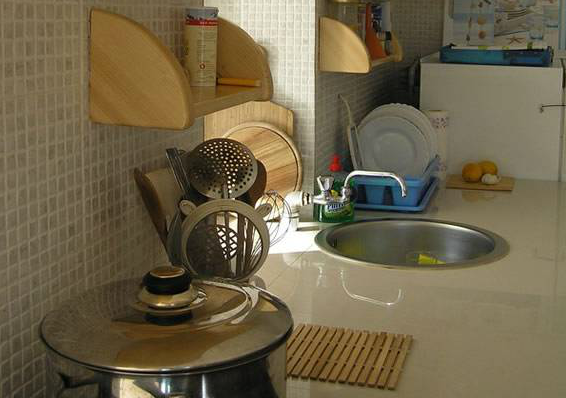 A small market is situated in the next bay for other amenities. 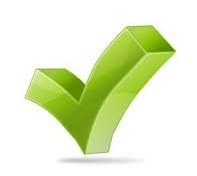 We recommend that you bring your mobile phone, so you can contact us in case of need. This holiday house is not accessible by car.